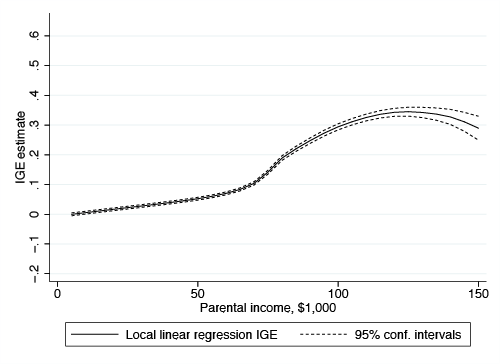 Landersø, R and J J Heckman (2016) "The Scandinavian Fantasy: The sources of intergenerational mobility in Denmark and the U.S", forthcoming, Scandinavian Journal of Economics. Washington’s Blog (2014). “The American dream has moved to Scandinavia”, Website, November. 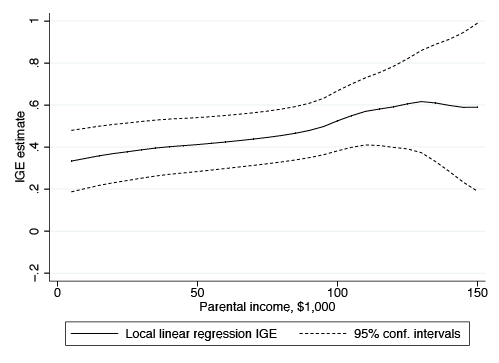 The plots in Figure 1 are for local IGEs and show the effect of small changes in family income on the adult income of children at different levels of family income. 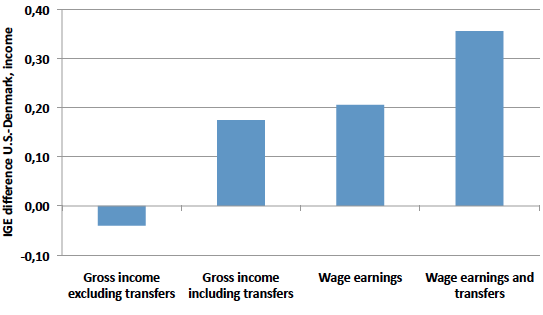 Incomes are measured in purchasing power equivalents, so the income levels in Figure 1 are comparable across countries. 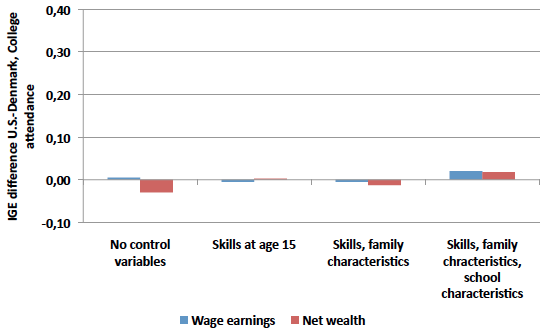 We use purchasing power equivalent incomes to make this comparison. These are coefficients from a multivariate regression with both variables in the same estimation equation. See Borghans et al (2016).